Unbeknownst to anyone at the time, 1933’s Lady for a Day became the start of director Frank Capra’s “classic era” of films. 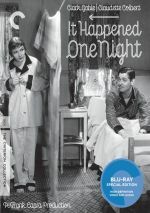 Including Lady, six of Capra’s seven movies from 1933 to 1939 would get nominated for the Best Picture Oscar, and two – 1934’s It Happened One Night and 1938’s You Can’t Take It With You - would win the big prize. Smack-dab in the middle of this run, 1937’s Lost Horizon takes its story from a novel by James Hilton. Set in 1935, diplomat Robert Conway (Ronald Colman) goes on a mission to rescue British nationals stuck in China during a rebellion. Unwittingly, Conway and the others find themselves in the Himalayas, where they wind up in an Eden-like location known as “Shangri-La”. Conway and the others deal with this reality and they also pursue the secret behind the realm. Compared to Capra’s other 1930s films, Lost Horizon stands out for a few reasons. For one, it cost a fortune by mid-1930s terms and went severely overbudget, issues that created a strained relationship between Capra and Columbia Pictures. For another – and related to the prior point - Horizon offers a tale with a much grander scope than we expect from Capra. 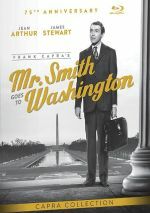 The typical Capra flick brings us a fairly small character tale with an emphasis on social values – think George Bailey or Jefferson Smith. From its very start, Horizon proclaims that it’ll differ from that tone, as it launches with a massive action sequence related to the escape from China. The rest of the movie concentrates on a more limited scope, but it still feels more ambitious than the modest fare Capra usually delivered. One area in which Horizon does connect to typical Capra material relates to its social message, as the film comes with a fairly strong point of view. The movie uses Shangri-La as a literal paradise to which all should aspire – too literal for my liking, as it leaves little room for mystery or interpretation. Is it possible that Shangri-La isn’t a real magical land but just a nice place imbued with special qualities in the inhabitants’ minds? Perhaps, but as presented by Capra, we don’t get that vibe – at least not by the end. For a while, the movie entertains the notion that Shangri-La is a sham, an oppressive society that lies to its residents. However, Capra won’t allow for any true nuance, so by the finale, we’re left with the strong impression that Shangri-La exists as a true magical paradise. This lack of nuance becomes a drawback, as does the fairly boring impression of Shangri-La itself. Pretty much everyone just lazes around and skinny-dips, activities that come with some appeal, but I can’t imagine they’d be delightful over the endless lifetimes enjoyed by the inhabitants of Shangri-La. The whole place looks dull, to be honest, and plot holes create incongruities. Even without those issues, Horizon mainly feels boring, largely because so little happens. We get more than two hours of lolling around and preachy pontificating, neither of which add up to much entertainment. Horizon fancies itself as a grand romance, but those moments fizzle, mainly because the actors enjoy little chemistry. All of the smoochy scenes feel bland and forced, just like the movie’s general social message. At his best, Capra created earnest, endearing morality tales. Lost Horizon lacks the charm and heart of his better films, so along with slow pacing and an extended running time, the movie winds up as a dud. 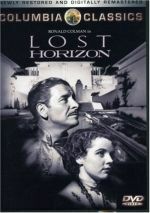 Lost Horizon appears in an aspect ratio of 1.33:1 on this single-sided, dual-layered DVD. Due to those dimensions, the image has NOT been enhanced for 16X9 televisions. Given the movie’s history, I thought the picture held up acceptably well. As noted in text at the film’s start, portions of the original flick have gone missing over the decades, and that meant a mix of issues with the presentation. For one, a few minutes of footage remains completely lost, so the DVD used still photos for those scenes. Other segments simply provided degraded visuals. These stood out like a sore thumb, as they were notably softer and more flawed, with obvious contrast issues. As awkward as the still photo scenes could be and as ugly as the occasional degraded shots appeared, much of Horizon actually looked fairly positive. Much of the film presented pretty nice delineation, with better than average sharpness. Occasional soft shots materialized – impacted by light edge haloes – but the film usually delivered appealing definition. Jagged edges and moiré effects were mild nuisances at worst, and print flaws became a persistent issue. Small specks, scratches and marks popped up across much of the film – while they weren’t overwhelming, they did create persistent distractions. Black levels seemed to be inconsistent. Much of the time they appeared appropriately rich and dark, but they could also become drab and muddy on occasion. Contrast levels varied throughout the movie, and a few scenes looked excessively bright. Shadow detail also felt erratic. Most parts of the movie showed a nice balance within the low-light sequences, but others were too dark and difficult to discern. In the end, the image seemed acceptable given its origins but it still appeared inconsistent and flawed. The film’s Dolby Digital monaural soundtrack has survived with a little more grace than has the picture, but it didn’t seem noteworthy either. Though speech displayed a thin quality typical of the era, dialogue usually sounded acceptably accurate and distinct. As with dialogue, effects and music seemed flat and lackluster and they failed to demonstrate much dynamic range. However, those issues often appeared during older movies, so I had no great worries about them. All in all, I thought that the soundtrack of Horizon appeared to be typical for its era. The disc includes a few extras, and we open with an audio commentary from film critic Charles Champlin and UCLA film restoration expert Robert Gitt. Both sit together for a running, screen-specific look at cast and crew, production areas and the film’s restoration. Though Champlin chimes in at times, Gitt carries most of the commentary, and that means we learn more about the restoration than anything else. This seems fine, though I admit I’d like to know more about the creation of the film itself. Still, we get enough good information about all the topics to make this an enjoyable chat. Gitt reappears for a Restoration Comparison. Here we see a look at the 1937 main title vs. the credits used for a WWII-era reissue. We also view some “fixes” made to clean up the transfer as well as some outtakes. As Gitt examines the material, this becomes a decent overview. An Alternative Ending arrives next. It offers a more concrete conclusion to the film instead of the more vague finale in the final cut. It’s not very good but it’s interesting to see. In addition to the film’s brief and vague trailer, we get a Photo Documentary. Accompanied by commentary from historian Kendall Miller, this shows a mix of clips and stills. Miller gives us a nice look at the production while we see an appropriate compilation of visuals. Part of Frank Capra’s “classic era””, Lost Horizon does little for me. It offers an ambitious affair that lacks much real dramatic impact. The DVD presents erratic but passable picture and audio along with a decent set of supplements. Horizon turns into a slow-paced disappointment.